When my children and I encountered a cotton candy booth in action, we crowded around to see and pestered them with questions. I was still wondering--how much sugar is there in a bag of cotton candy? 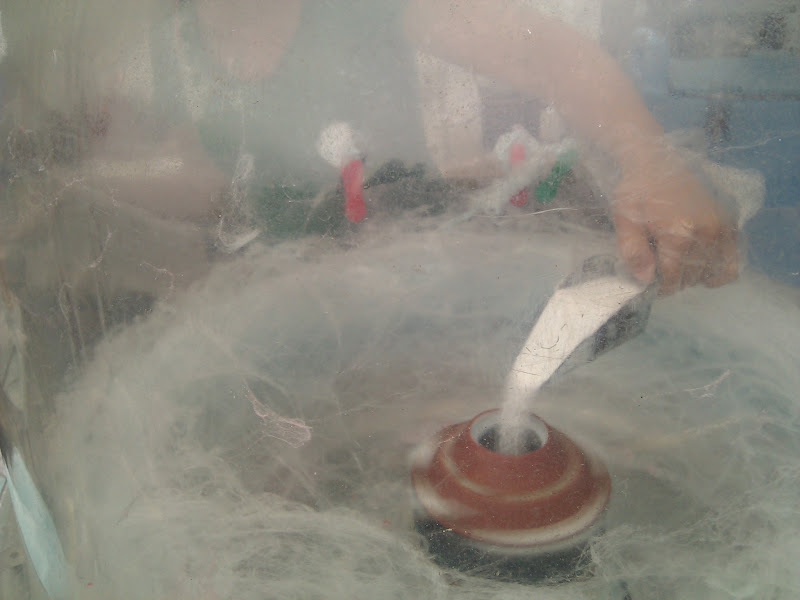 1) Pour a scoop of sugar mix into the cotton candy maker. 2) The sugar gets melted and spun out of holes, creating floss that collects against the edges of the machine. It's centrifugal force in action! 3) The worker watches the candy accumulate, then gathers it up into a long skein, rather like a skein of wool. About four of these are packed in a plastic bag. 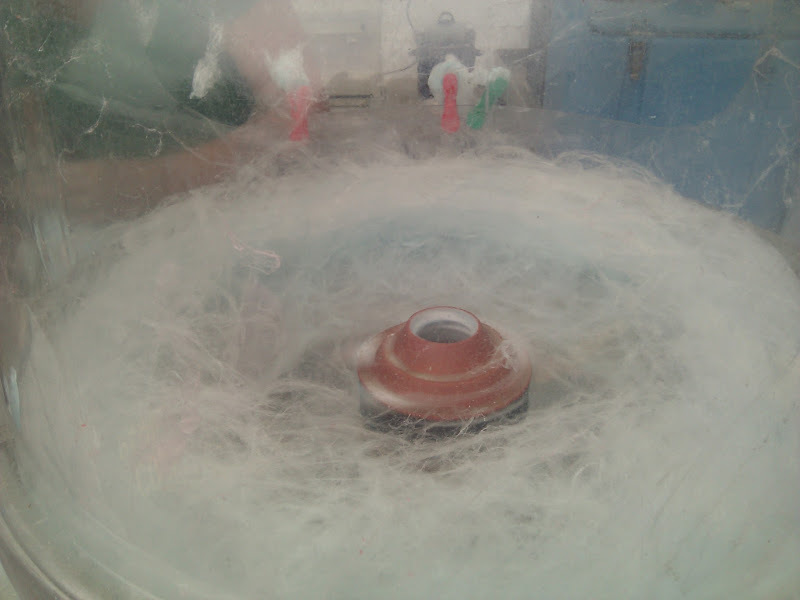 For more information, here's a nice article from HowStuffWorks about cotton candy and how it's made. Page five includes a nutritional breakdown, comparing it to other sweet treats. 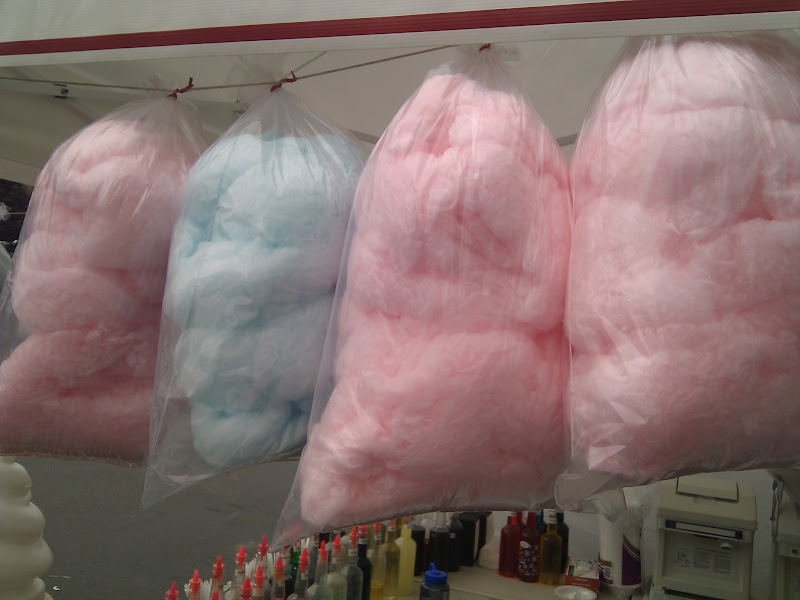 The key is density--although cotton candy is pure sugar, it's so spun out that one doesn't have as much sugar as you might think. Of course, you can eat quite a lot without realizing it if you down the whole bag!